Mårten Skällenäs, director of strategy and innovation at Backe, chose Decisions for its comprehensive solution to meeting management – from agenda creation through follow-up. That it integrated with Office 365, specifically Microsoft Teams, was an important benefit, since team members were familiar with the interface of those platforms. Backe first launched Decisions for leadership team meetings, where it was necessary for more productive conversations. Executives needed to move from only giving status updates to having meaningful discussions and making valuable decisions. The meeting owner creates a well-planned agenda that is shared ahead of time. No more using the same agenda week-after-week or sending it 15 minutes before the meeting begins. Attendees prepare in advance of the meeting, often having discussions around different agenda topics beforehand. The meeting is canceled if there is no agenda. 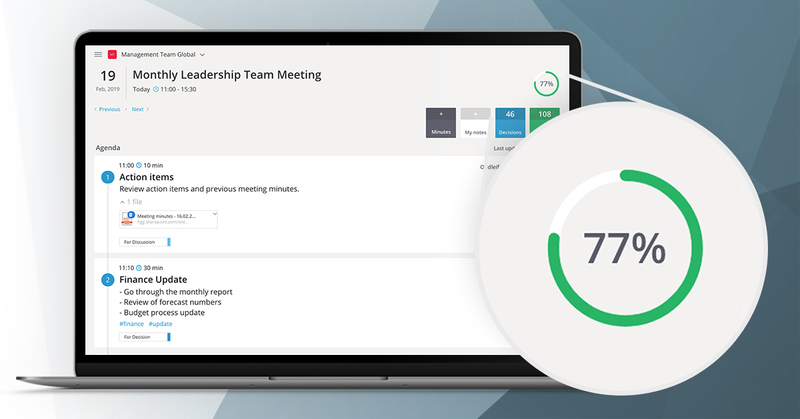 Is your leadership team ready for better meetings? Get started with Decisions. Backe is a leading construction and real estate development company in Norway. For more than 60 years they’ve been recognized for their professional excellence and integrity, as they develop and build homes and commercial buildings for the private and public sectors.